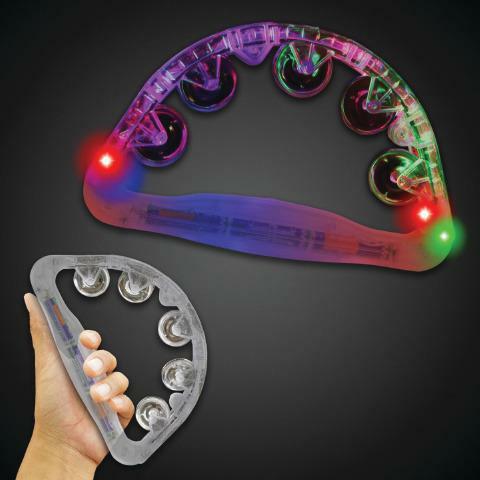 Super-bright LEDs are embedded within this light-up tambourine making any musical performance a dazzling light show as well! With the flip of a switch, you can set your light-up tambourine to flash and blink as you make beautiful music. We filled out childs stocking with our purchases. She was thrilled and excited to play with each of them.